A catch up with my playmates……. | Which me am I today? A catch up with my playmates……. The early morning saw the Supermoon but I wasn’t up early enough to see it turned red.However I was up in time just to see the shadow of the earth across the moon. 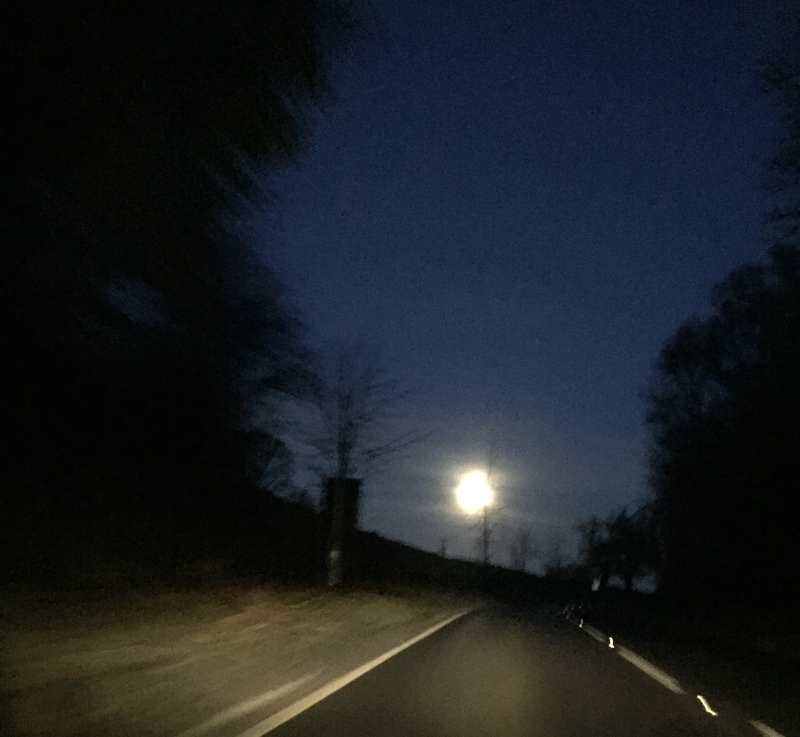 And on the drive to York I got a piccie of the supermoon……. 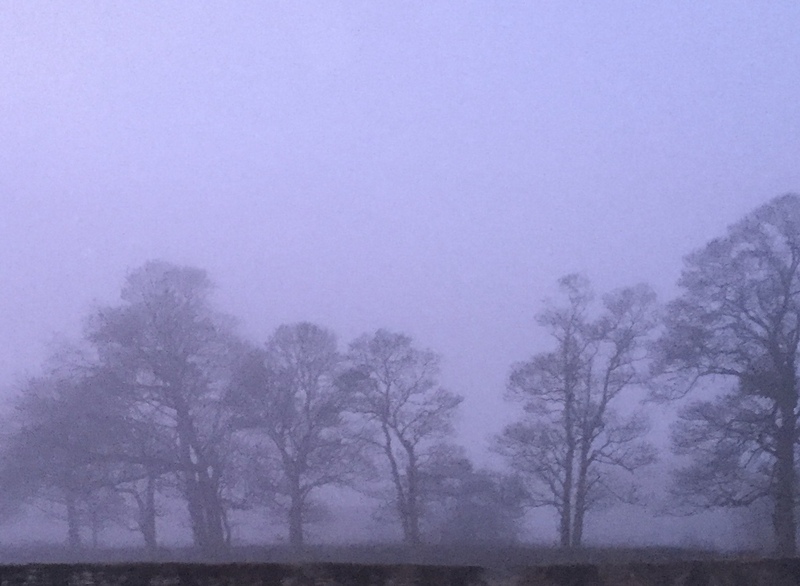 And then the fog disappeared and it was a lovely sunrise!!! Damian met me at the station and we trundled our way to the venue to be met by Anna, who is doing the Skydive with me. Damian then announced that he would sacrifice doing the Skydive and be the ‘Designated Survivor”…….just like the royal family don’t travel together, we can’t have 3 of Minds and Voices people Skydiving🤣😂🤣😂 any excuse………. Damian talked to me about our long held plan of setting up a DEEP group nearer to my home as it’s becoming increasingly difficult for me to get to Minds and Voices. But I said how Minds and Voices will always be my group as that’s where it all started to get better for me after my diagnosis. The comfort, familiarity and safety I feel there could not easily be replicated somewhere new. But never say never I suppose…..
Today we had Jason from Exeter University. He is doing a PhD study on What helps people Adjust to living with Dementia and the value of Peer Support group and Advocacy. It’s part of Rachaels Litherland bigger picture on the value of the DEEP Network. All our playmates started to arrive and Damian went to collect a new playmate, Alison. Those around me warmed their hands on my tiny hottie tea bag as it was a freezing cold day. While we were waiting some spoke of the loneliness they’d experienced at Christmas. In a room full of family they felt lonely because they were being excluded from the conversation or excluded from activities. Families sometimes do things for the kindest of reasons which makes it all the more important to TALK to one another and say how its making us feel. Very sad. 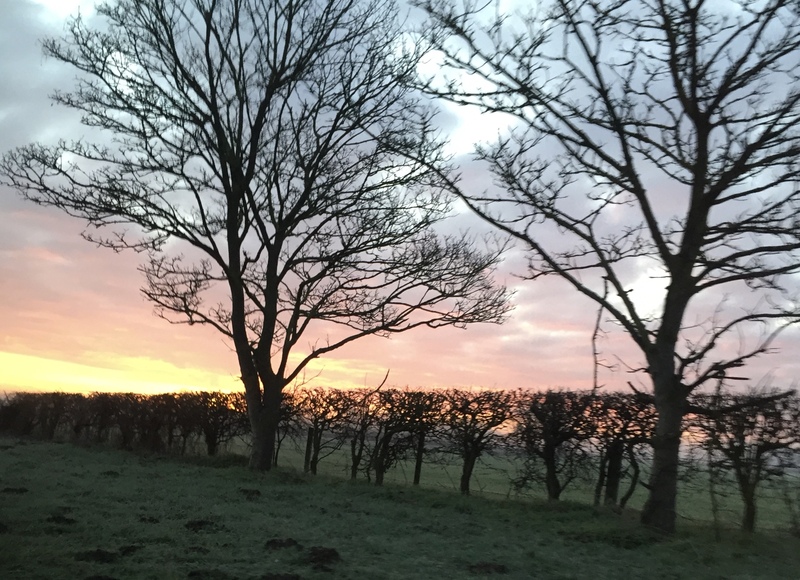 Rita said how she felt so at ease and relaxed at Minds and Voices and so part of the group – wonderful. So often, it’s the little conversations around the room that reveal so much. We went round and introduced ourselves to Jason. Jason told us a bit about himself – a nurse who worked in memory clinics for many years, now doing research for Exeter. He had specific questions for us. Is the questionnaire too long? Is it designed in a way that’s understandable? The initial questionnaire we saw was overwhelming and far too long and we agreed immediately that ‘impairment’ should be changed and replaced by “Dementia”. He showed us 2 types of stigma questions – one American and one of Jason’s own. Charlie said, “we’ll upset Trump if we don’t use theirs’ so we all said how we quite like the idea of upsetting Trump -😂🤣……sorry American readers……. The 3 themes of the questionnaire are…….Are we being treated differently, Quality of life and Depression. 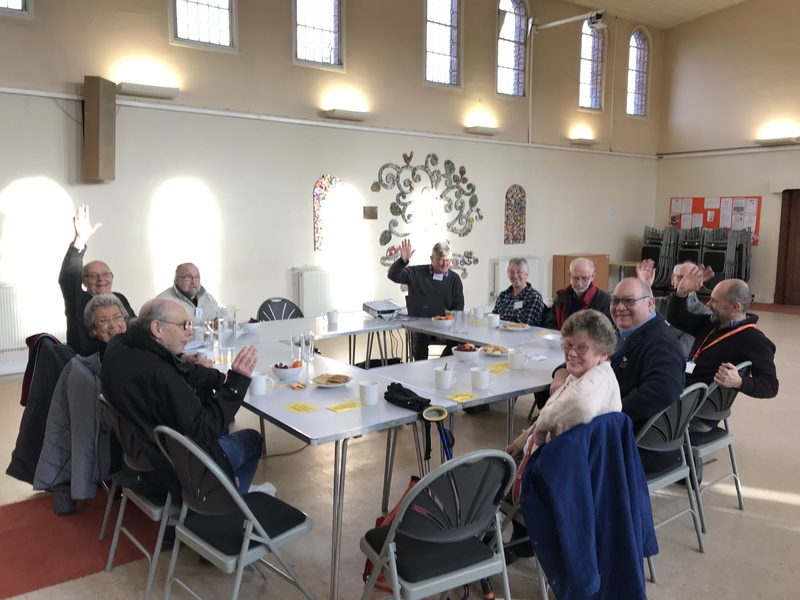 The whole process was fascinating because our group is made up of people at different stages of dementia and with different abilities. So the issues raised were far ranging. Questionnaires can make you feel so stupid sometimes as you struggle to remember or work out what you’re doing. I saw our newbie lady with tears in her eyes and just wanted to hug her but then got distracted myself and when I looked up again she was wiping the tears away and laughing at something else. Hopefully it was not the questionnaire that had made her anxious and upset and even more so, I hope it wasn’t us. We tried to whittle down the questions to a manageable amount by deleting some of the demographic questions, but even they raised differing issues. I’m not sure Jason knew whether he was coming or going but I imagine he learnt a lot about how to approach a group another time and maybe do somethings slightly different if he did it again. But why shoe horn us into something so many find so difficult? When you may just get random answers instead of what we really think because we get distracted, anxious or overwhelmed by the words in front of us and tick the first thing we see? I myself learnt so much today by simply listening to aside conversations and watching people’s facial expressions with regards the questionnaire than any amount of ticking boxes would do……..just my humble opinion ……. Before I knew it, it was time for my early departure for my bus. I left Jason in the capable hands of the rest of the mob. 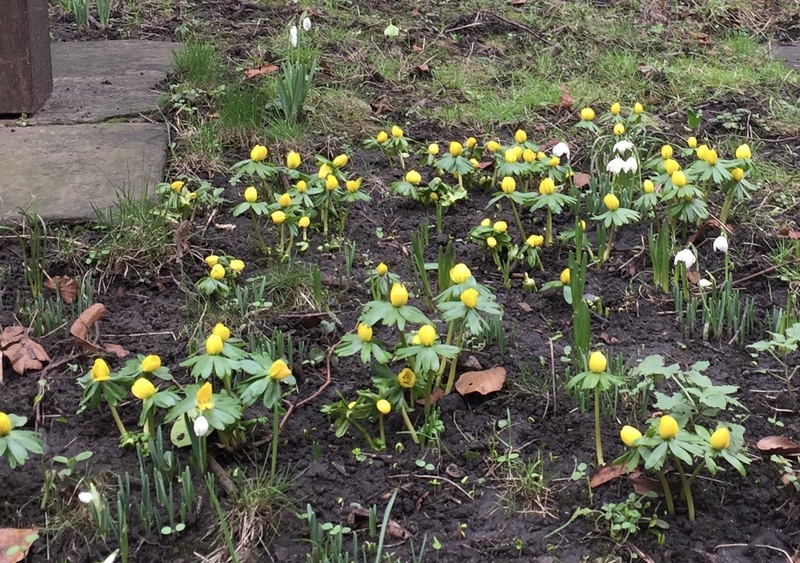 Soooo good to see my playmates…..
And so nice to see the aconite in flower in the churchyard on my way into town…..
Oh, Wendy, you are so smart and observant – your thoughts really need to be listened to. I don’t have dementia (yet! ), but I thought the same things you did as I read about the questionnaire. Your comments regarding the man who occupies our White House gave me a chuckle. Thank you. When it regards him, we, in the US, benefit by all the chuckles we can get…to keep us from crying. Thanks Wendy. Your post today was quite ‘enlightening’ (is there such a word? )’ in respect of how the broad ‘definition’ of ‘dementia’ can, in fact, create confusion and concern. (Not that ‘concern’ is an emotion to be ignored when a loved one is in a ‘bad place!). As is said, ‘analysis can lead to paralysis’. As you point out in your blog, it would be more cathartic and supportive to encourage the group to share their thoughts and cares in open discussion, especially if there is a ‘Wendy’ there to allow them to be themselves!